During this event, Josep Ginestar presents his artistic approach and new works that are currently exhibited in exclusivity at Le Cube – independent art room. This evening event is also an opportunity for the public to interact with the artist. What am I? Who am I? Who am I made? How do I do? These are the questions that the human being asks when questioning his or her existence. If the answers to these questions belong to each of us, they are still not easy to be solved. Josep Ginestar reflects on himself. He reflects on the immensity of landscapes and performances. The work of Ginestar is not only nurtured by reflection, but also by his everyday life experiences and his engagement in life that makes his work coherent, and generates a continuum between his life and his artworks. 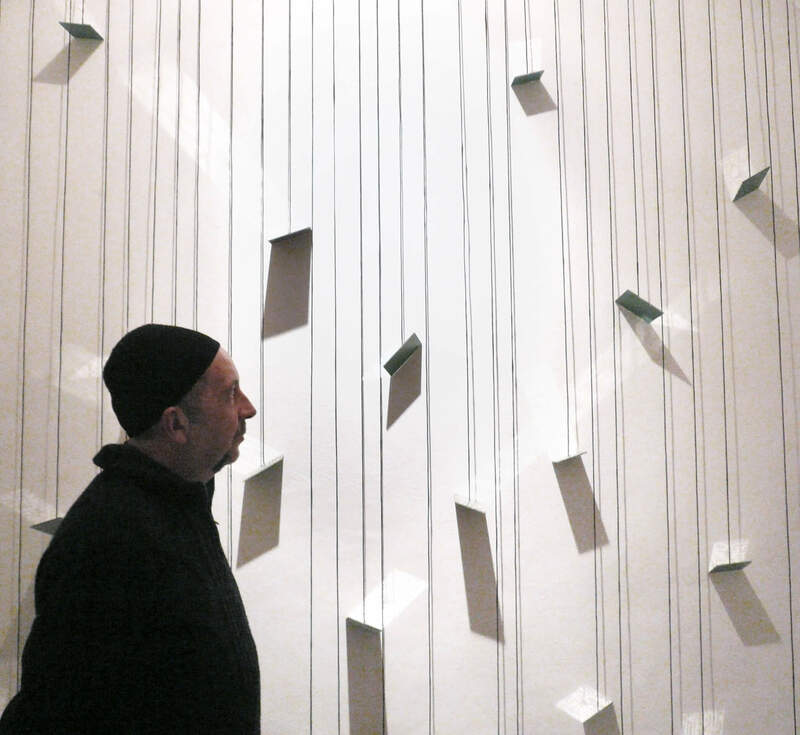 It has been many years since the artist has developed an intimate relationship with Morocco – where he works for ONG, among others. The latter creates campaigns to provide eyeglasses to people with eye deficiencies. Thus, in these trips, helping the neighbor alternates with the eternity of the desert, where he can come to a deep understanding of the landscape. Landscapes are conceived not only as images, but in a total understanding that includes the raw materials that compose it, air, the beings who inhabit it, customs, light … That’s what he conveys later in his works. The appropriation of landscapes is present in his work and often, territory is the uncontestable protagonist of his installations – when he writes with sand, when he draws with fire on the floor. In addition to the trace that Josep Ginestar can leave in a given landscape, the landscape also leaves its mark on the work of Ginestar.